The country needs a more robust capability. Here’s how it can achieve it. As Indo-Pacific nations build up their naval power, submarines, cruise missiles, aircraft carriers, jets, and frigates get the most attention. However, an underreported but significant regional trend over the last five years is widespread interest in amphibious capabilities. Japan and Australia have created rudimentary amphibious forces, and New Zealand is working to develop one. Malaysia has publicly stated it wants a Marine Corps and even the small, remote Maldives has established a Marine Corps. Apart from this, Asia also already has a number of Marine Corps or amphibious-capable ground forces. The ROK Marine Corps is one of the oldest and most capable, though largely tied to the Korean peninsula. The Chinese People’s Liberation Army (PLA) has a large Marine Corps, and as the PRC pursues its territorial expansion strategies it understands the value of amphibious forces and is rapidly building new amphibious ships. The Indonesian Marine Corps is expanding, while the Philippine Marines are working to upgrade their force. India has amphibious-capable forces, even though they lack adequate funding and focus, and Singapore is looking to improve its amphibious capabilities. Bucking the trend, the competent Taiwan Marines have been pared down in recent years – to the point where they may eventually be ineffective. The Royal Thai Marine Corps (RTMC) has a long history and can conduct amphibious operations. It has performed superbly in the south against separatist insurgents, and made important contributions to winning the nearly 30-year long Communist insurgency. However, the RTMC can make even greater contributions to Thailand’s national security and to regional security as well. The RTMC is indeed a neglected strategic asset, but to understand why, one first must understand why amphibious capabilities are important. 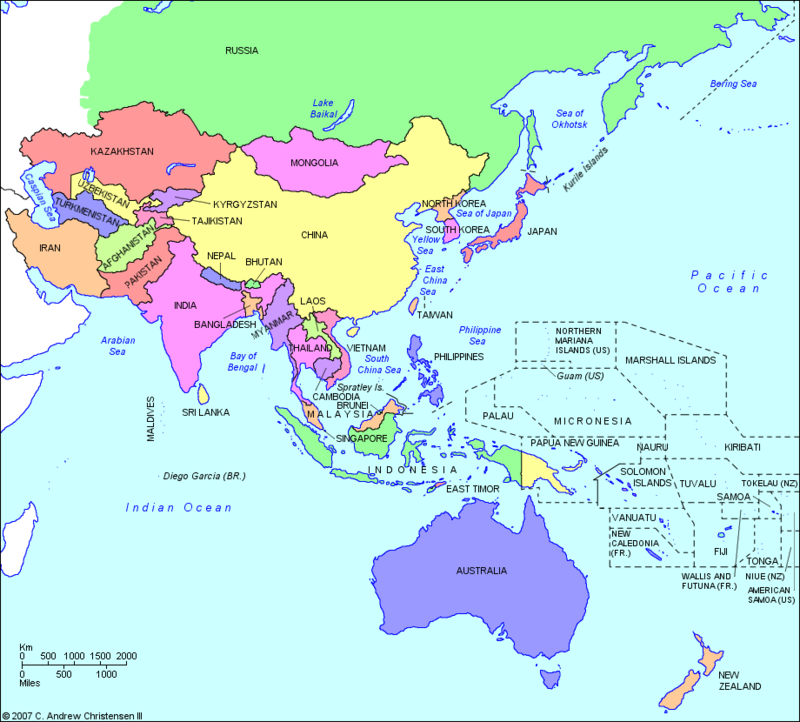 Look at the map of the Indo-Pacific region. There is a lot of ocean, many islands, and long coastlines. An amphibious capability perfectly suits the region’s geography by allowing a military to conduct operations seamlessly between the sea and land – rather than being confined to one or the other. Indeed, being “amphibious” allows one to view the ocean as “maneuver space” (sort of like an empty highway) through which forces can move freely. Although the term “amphibious operations” conjures up images of U.S. Marines storming Iwo Jima, amphibious assaults are rare. Natural disasters in Asia, however, are not. According to the UN, from 2002 to 2011 alone about 2.2 billion people in the Indo-Pacific region were affected by natural disasters and almost 750,000 were killed. Given the fundamental duty of a nation’s military to protect citizens, the ability to respond to Humanitarian Assistance/Disaster Relief (HA/DR) contingencies is reason enough for an amphibious capability. When typhoons, earthquakes, and tsunamis hit it is often hard to approach the affected area by land. In such cases, it is essential to bring relief supplies and equipment and personnel from the sea – either by ship or aircraft. Paradoxically, being able to conduct amphibious HA/DR operations does not detract from amphibious “combat” capability – and vice versa. The amphibious skills – planning, logistics, communications, coordination, and troop movement – required for combat operations and HA/DR operations are 95 percent identical. Operation Damayan (2013): Following Typhoon Haiyan in the Philippines, American, Japanese, Taiwanese, Korean, and other amphibious forces rapidly converged to lead the initial relief effort. By many estimates, this rapid amphibious response saved thousands of lives in the typhoon’s aftermath and immensely reduced suffering. Operation Unified Assistance (2004): After the massive Boxing Day Earthquake and Tsunami that killed nearly 300,000, U.S. and other regional amphibious forces came from the sea to provide assistance throughout the region in affected areas in Indonesia, Thailand, Sri Lanka, and Malaysia. Some estimate that hundreds of thousands of lives were saved from this HA/DR response. Operations Sea Angel I (1991) and II (2007): U.S. Marine and U.S. Navy amphibious forces twice played the leading role in typhoon response in Bangladesh, saving tens of thousands of lives. These were successful amphibious HA/DR operations that resulted from key nations having the vision to build and maintain credible amphibious forces. It is equally instructive to study the results of failure to have adequate amphibious capability when a nation most needs it. Japan provides such a tragic case study. Following the Great East Japan Earthquake and Tsunami in northeast Japan in March 2011, the Japan Self Defense Force’s lack of an amphibious capability resulted in an estimated 3,000 to 4,000 avoidable deaths. The Japanese Maritime Self Defense Force reached the ravaged areas quickly, but lacked the know-how and equipment to conduct amphibious HA/DR operations from the sea. This failure was predictable given the Japanese Navy and Army (and Air Force’s) longstanding reluctance to operate together – “jointly” – which is a prerequisite for successful amphibious operations. The Japanese learned a hard lesson and soon afterwards established a workable amphibious capability. Indeed, this rudimentary capability was gainfully deployed to the Philippines in December 2013 for Typhoon Haiyan relief activities. Amphibious capability is best viewed as one essential component of a properly balanced national defense. Amphibious forces allow a nation’s military to operate seamlessly in the littorals – that vital gap between sea and land. A military still needs surface combatants, submarines, aircraft, and other ground forces. But a nonexistent or ineffective amphibious capability leaves a gap. This gap prevents an effective response to natural disasters – as Japan experienced in 2011 – and contingencies involving territorial defense – as Malaysia experienced in Sabah in 2012 when Sulu rebels landed and laid claim to Malaysian territory. Malaysian forces eventually overcame the rebels, but with considerably more effort and casualties than necessary. In such cases, operational failure and near-failure resulted from Japan and Malaysia’s failure to develop a ready force capable of completing vital national security missions in the littorals, between sea and land. This inability to respond rapidly and effectively to either a HA/DR contingency or a threat to national sovereignty inevitably embarrasses both the military and the national government. An amphibious capability also tends to improve overall military capabilities by forcing naval, ground, and air forces to cooperate. Most regional militaries lack full ability to use their different military services in a coordinated fashion. Such coordination is imperative. In normal militaries, each service is designed to do what the other services cannot (with some minor overlap). When their respective capabilities are combined, a military is geometrically more effective. The U.S. Marine and U.S. Navy MEU/ARG – three U.S. Navy amphibious ships with 2000+ Marines and their aviation (helicopters and fixed wing) and logistics elements aboard – is an excellent example of the synergy that comes of combining naval ships with Marine Corps ground and aviation resources. One without the other is much less effective in terms of the types of missions it can conduct. As much as any country in Asia, Thailand needs an amphibious capability of the sort provided by the RTMC and Royal Thai Navy (RTN). A 2,800 km coastline cries out for such an amphibious force. But beyond a long and vulnerable coastline, Thailand has maritime interests such as offshore oil platforms, fisheries, and sovereignty to protect in the Andaman Sea and the Gulf of Thailand. 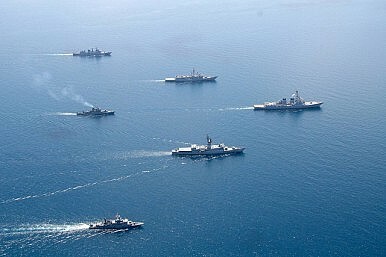 The RTMC is a 20,000-Marine force operating as part of the Royal Thai Navy (RTN). Despite being heavily involved in ground operations in southern Thailand against separatist insurgents, the RTMC maintains an amphibious capability centered on a 2,400 Marine amphibious unit. It is able to conduct simple company-sized landings using LCUs and AAVs, rubber boats, and helicopters launched from RTN amphibious ships. Although RTMC has a close relationship with the Royal Thai Navy, priorities differ. Most importantly, while amphibious operations are RTMC’s highest priority, the RTN focuses more on combatant ships, missiles, submarines, and anti-submarine warfare. These divergent priorities manifest themselves in budget allocations, and not surprisingly, RTMC is chronically short of funds. This is a particular issue when it comes to AAVs (Amphibious Assault Vehicles) – the backbone of RTMC ship-to-shore amphibious capability. These aging vehicles require constant upkeep, which requires money, and also need regular training with RTN ships to use efficiently – which also costs money. The Thai Marines have a good internal amphibious training scheme and send officers to U.S. Marine Corps schools in the United States. The two services also train together at the Cobra Gold and CARAT amphibious exercises each year. The RTMC resembles the U.S. Marines in many respects, but unlike the USMC it lacks its own aviation element and depends on RTN and Royal Thai Air Force to provide helicopter and other air support. This is a shortcoming, as aviation is particularly important in amphibious operations because it expands range and options for moving troops and equipment to/from shore beyond what boats and other watercraft can provide. When assessing the Royal Thai Marine Corps strengths and weakness, it is important to also take a broader view and consider how RTMC and its amphibious capability fit into Thailand’s entire national security structure. Properly considered, RTMC is an integral part of the Royal Thai Armed Forces overall capability. The Thai Marines give the historic steward of Thailand’s national defense (the Royal Thai Army) a more capable total force that can handle all contingencies – particularly those requiring operations at sea and ashore. As a yardstick, one might fairly ask how well the Thai Armed Forces would respond to another major tsunami or typhoon in southern Thailand or the Andamans, or to a threat to Thailand’s islands or gas facilities in the Gulf of Thailand. Would the current Thai amphibious capability be sufficient to achieve success? If not, what would be the political impact on the current government? A fast, effective response enhances the armed forces’ image as evidenced by the praise the Royal Thai Armed Forces received from the Thai public during the 2011 floods. A fumbled response has the opposite effect. First, have RTMC and RTN conduct regular and more realistic amphibious training, including: planning, logistics, intelligence, communications, aviation operations, and maneuver and operations once ashore. The more one practices amphibious operations, the more one improves. And realistic training is most important. Avoid the “staged landings” that are done leisurely and according to a prepared script for VIP observers. These do little to improve capability. Second, expand RTMC capabilities to at least a battalion-sized landing capability. A company (about 200 Marines) is too few Marines to do much once ashore – even in an HA/DR environment, much less in combat. Third, spend the money necessary to keep Amphibious Assault Vehicles (AAVs) operating. The technology may be decades old, but AAVs remain useful for ship-to-shore movement and operating in difficult terrain ashore. RTMC AAVs have proved their worth responding to flooding in Thailand. Also, during serious flooding in Taiwan in 2009, the Taiwan Marine Corps’ AAVs were the only vehicles able to access large parts of the flooded regions. Fourth, create a Thai “MEU/ARG” by organizing Thai Marines and Thai Navy amphibious ships into a permanent task force – and then use it. Besides conducting domestic operations, participate with regional partners in training, exercises, and real world operations – especially HA/DR contingencies that routinely occur. Also, if Malaysia’s proposed ASEAN Ready Group gains momentum, the RTMC/RTN has a useful role to play. Importantly, a MEU/ARG need not have three amphibious ships like the US. One is enough – although two or three modern amphibious ships are desirable in Thailand’s case. Fifth, establish a RTMC aviation support capability. Air operations are an essential part of amphibious operations. RTMC should develop an air component – either internally in the RTMC, or using Royal Thai Navy, Air Force, or Army aircraft that are permanently attached to the RTMC. Being able to smoothly integrate air operations into amphibious operations expands capabilities and improves overall competence. Sixth and finally, enhance longstanding ties with U.S. Marines by assigning a RTMC Liaison officer at Marine Forces Pacific Headquarters in Honolulu, and assign a US Marine officer to the Royal Thai Marine Corps. There is no substitute for continuous personal interaction. Some of these recommendations require more money to accomplish while others just need existing assets reorganized. However, all of them require recognition at the highest levels of the Royal Thai Armed Forces of the national benefits to be gained from a RTMC able to conduct effective amphibious operations. The Royal Thai Marine Corps is already a capable force, but it has the potential to be a strategic-level national asset in support of Thailand’s national security. By implementing these recommendations, the benefits will go beyond the RTMC itself. Improving RTMC and RTN amphibious capability in turn bolsters the Royal Thai Armed Forces’ overall ability to defend the nation’s sovereignty, protect its citizens, and engage with regional neighbors. As important, as ASEAN works towards economic integration and takes further steps towards defense and security cooperation, Thailand’s enhanced amphibious capability will allow it to visibly contribute to ASEAN security – with the political benefits that accrue to Thailand from such activities. Grant Newsham is a Senior Fellow at the Japan Forum for Strategic Studies and is a retired Colonel, U.S. Marines. The frigate delivery spotlights wider ongoing military collaboration between the two sides.